Smoking, drinking coffee, and aging – three inevitable things in life – unfortunately taints your teeth. You may have gotten used to having your beige biters, but you can actually have them whitened. 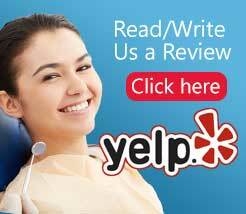 Laser teeth whitening is what dentist in Santa Cruz offers best to their clients these days. In just one sitting, you can have the brilliant set of teeth for all the world to see. Power whitening is currently the most popular method because it is fast, safe, and definitely effective. Unlike other teeth whitening in Santa Cruz, you need a dentist to perform the procedure. 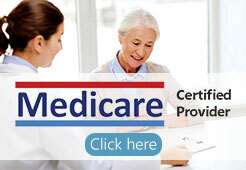 This makes sure your condition is suitable and that a professional does the process properly. Children and pregnant women cannot have their teeth whitened for obvious reasons. The whitening process begins with the dentist putting rubber dam on your mouth to protect your gums. The dentist in Santa Cruz then applies the bleaching gel to your teeth. The laser speeds up the absorption of the gel. The process would only take one hour to finish and the results are definitely dramatic and immediate. Teeth whitening in Santa Cruz can make your teeth up to six shades lighter than the original. Having a dentist perform the operation is actually more costly than home remedies and commercial teeth whitening products. It is, however, safer. Dentists can look into your condition and provide the best solution that suits your needs. You may have sensitive teeth or receding gums. You may even have an existing dental problem that can affect the results of your whitening treatment. You could waste a lot of money without a dentist in Santa Cruz to perform the procedure. There is no doubt about the power of laser teeth whitening. It is a great way to treat tainted and discolored teeth. If you want teeth whitening, Santa Cruz has many dentists ready to address your needs. They can even perform full mouth reconstruction and smile makeovers to give you the confidence you need to face the world. Inquire about teeth whitening on your next visit. You may also call our clinic beforehand for any questions regarding the procedure.